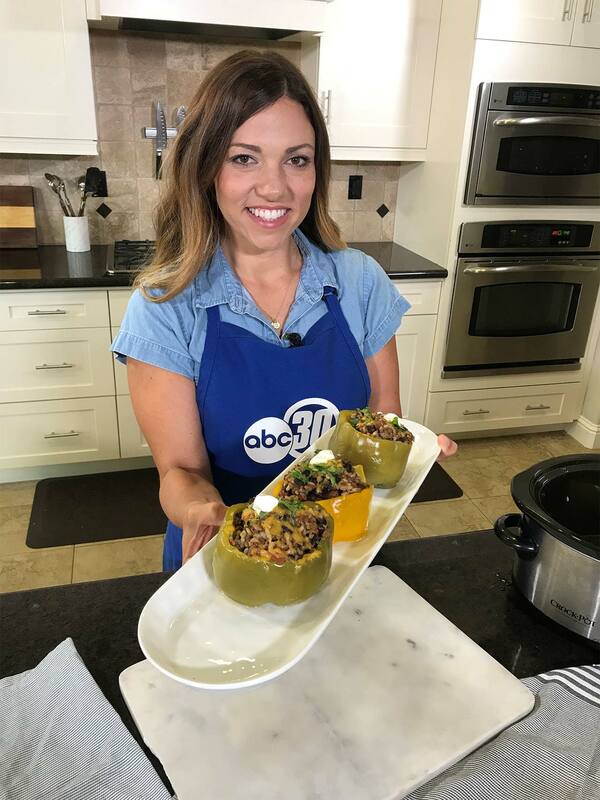 This recipe for stuffed bell peppers will change the way you think about dinner. Slice off top of bell pepper and remove seeds & membrane. In a large bowl combine the remaining ingredients. The ground beef does not have to be cooked. Fill each pepper, packing down the mixture. Place in the slow cooker on high for 2 hours or low for 4 hour. During the last 30 minutes sprinkle shredded cheese on top & place lid on until cheese melts. *If you have more time you can cook ground beef and saute onion and garlic in the same pan before mixing together the remaining ingredients.